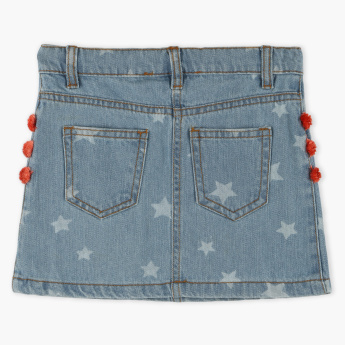 Your little girl will look effortlessly stylish dressed in this embroidered skirt. Sporting Wonder Woman's logo and an adorable pom-pom detail, this skirt is trendy. 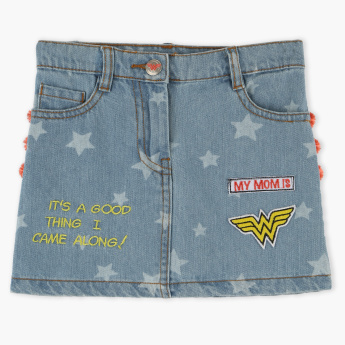 It is crafted from the choicest material to ensure that your little one stays comfortable all day.